The past couple of months has seen the housing market in Allen Texas come alive. Homes that are properly prepared, show-ready, and priced right are going under contract in days. We were out working with a first-time home buyer this weekend. We found a great home that had been on the market for a couple of days. By the time we scheduled a second-showing, the property was under contract. We’ve seen this time and time again. Our advice for buyers is to watch the market daily for new listings. Sites like this one are updated daily. 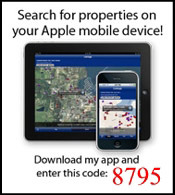 If you find a property, call your agent right away to schedule a showing. If you wait a couple of days the home will likely be under contract. Click here to see all Allen Texas Homes For Sale. If you are thinking about selling your Allen Texas home, now may be the perfect time to do so and get top-dollar for it. Looking for an experienced local real estate team to help you buy or sell your home? Contact us at 214-227-6626.